Where Raw Materials from around the world meets Japanese Technology. United Arrows, Inc. in collaboration with Arakawa Grip Co., Ltd. developed the overseas market for the "Arakawa Grip" Hanging system which utilizes metal hardware that can easily be adjusted into position along steel wires. 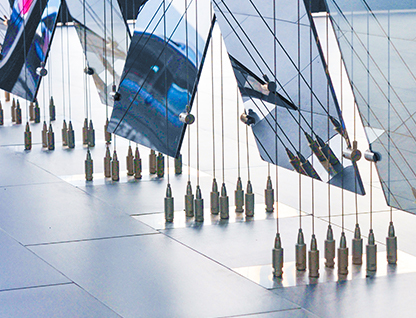 Our products are now installed worldwide in multiple fields such as shops, galleries and museums. Our system has also been used to hang lighting installation, custom installation and building work. Overseeing the introduction of SALMET, a German poultry equipment manufacturer with a proven track record in the poultry business, with over 50 years of industry experience. 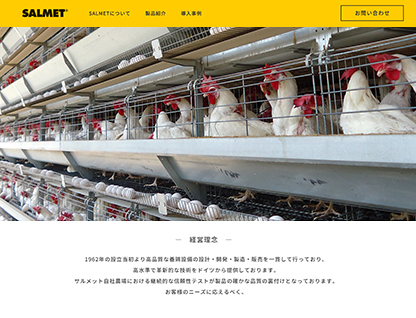 As an authorized distributor of SALMET in Japan, we handle the import and distribution of SALMET poultry equipment. In addition, we oversee the planning the construction of poultry houses, after service and replacement parts etc. Direct from the source, we import and distribute high-quality essential oils from around the world. In addition, we also export Japanese essential oils such as Kyoto Kitayama Sugi, Yoshino Hinoki etc. globally. Together with bulk sales to retail/manufacturing, we also operate our own internet shop “UCHIYA Essential Oils” on the Japanese branch of Yahoo! Shopping for individual customers. Due to Golden Week holiday season, we will close from April 27 to May 6. We will respond to your inquiry as soon as possible after May 7. Our website has been renovated. 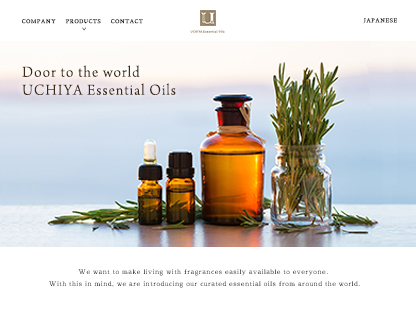 UCHIYA Essential Oils website has been redesigned. SALMET JAPAN website has been established. Due to Golden Week holiday season, we will close from April 27 to May 6. We will respond to your inquiry as soon as possible after May 7. Copyright © 2017 United Arrows, Inc. All rights reserved.